This morning, Dmitrijs Astasonoks, general manager of Velux Baltics, gave a great presentation at the GreenEST summit on smart and green buildings. He spoke about the “inside generation”. It is our generation, that lives mainly at the inside of buildings. Although we think we are some 40% outside of a building, the majority of people nowadays seem to live for 90% inside a building. If we do not add more light, more fresh air, and better ventilation, that leads to diseases and depression. Velux, of course, has the solution to increase the light and the fresh air. During his speech, Dmitrijs did not mention sound or noise as an issue during his presentation. When I spoke him on the little fair adjacent to the conference, he did admit noise insulation is part of the benefits of insulated glazing, but it was not a top priority – yet. 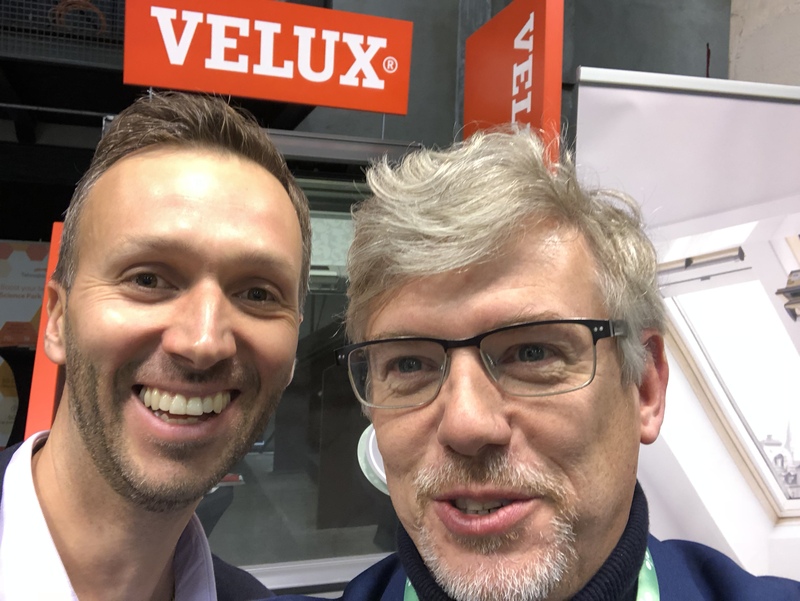 I was already happy to discover that Velux does believe noise is also an issue to be tackled to help the inside generation.